How long does it take to get to sleep? It may not be as long as you think. If it takes you quite a while to fall asleep at night, then you’re in good company. It’s normal to take 10 to 20 minutes to fall asleep once you climb into bed (this is called sleep latency). If it takes more or less time than that, then your body may be trying to tell you something. If it takes you an hour or longer to nod off: You may be sleeping too much, or you may be grappling with sleep onset insomnia. This can happen if you have trouble relaxing and turning off your thoughts at night. 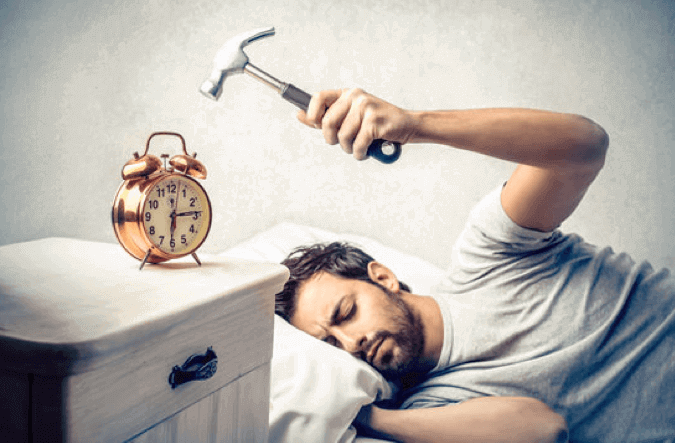 It can also happen if your body isn’t ready for sleep because you had too much caffeine or your internal clock is out of whack for another reason (such as jetlag). The first step is to try to improve your sleep hygiene. If that doesn’t help, talk to your doctor about what you can do to fall asleep more easily. What tactics can you use to make sure you wake up each day full of energy? If you’re ever struggling to dose off in the evening, here are a few handy tips for you. Stick to a routine: Try to go to bed at the same time every evening and get up at the same time every morning. Pay Attention to Foods and Drinks: Avoid caffeine and alcohol and don’t eat a big meal at least 3 hours before bedtime. Wind down and relax before bedtime: Have a buffer zone before bedtime to sort out any problems, review the day’s activities and work out a plan of action for the next day. Avoid using electronic devices within one hour of bedtime. Lower the lights: Your body clock is affected by light, so turn off bright overhead lights, lamps, and LCD screens at least an hour before bed. Make sure your bedroom is comfortable: Keep your bedroom quiet and dark with comfortable bedding and good temperature control. Don’t lie awake watching the clock: Staring at the clock when you can’t sleep actually increases the stress hormone known as cortisol in your body, making it more difficult to fall asleep. Try turning your clock away from you. This entry was posted in General and tagged how long to get to sleep, sleep. Bookmark the permalink.